M18 sensors - Install finger tight then 1/2 - 3/4 turn with wrench / O2 sensor socket 26-33ft. lbs. 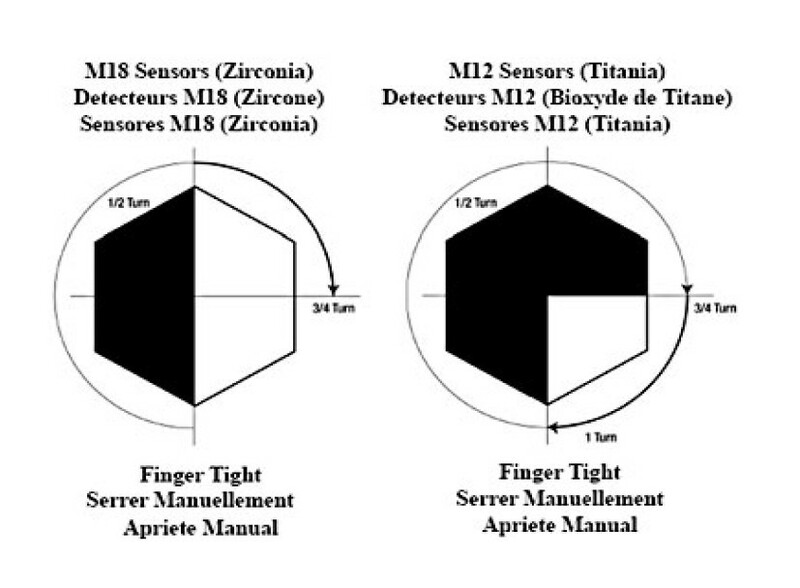 M12 sensors - Install finger tight then 3/4 - 1 turn with wrench / O2 sensor socket 13.2-17ft. lbs.